LD Watkins has been building in the northwestern Colorado area since 1993. Our experience has led us to develop the LD Watkins process for different types of construction projects. The process is designed to simplify the project for you while also ensuring that the finished product lives up to all expectations. We have outlines 8 steps to the remodeling process, including consultation, meetings, design, budget, pre-construction, and construction. 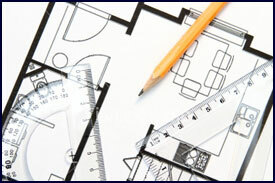 Visit the Remodeling Process section to learn about the different steps and what each one includes. If you are in need of a reliable, efficient and cost effective damage restoration company, LD Watkins can provide timely completion, excellent customer service, and a detailed insurance estimate. Visit the Restoration Process section to see an outline of our process for a damage restoration project. Our mountain home building process follows predefined steps to help ensure a smooth building process. Visit the Mountain Homes Process section to learn about the different steps involved in building a mountain home.